All quotes are sent via email. Is your group looking to travel to or from Amherst, MA? Shofur.com is here to get you the best value from any charter bus company in Amherst, MA and surrounding areas. Please feel free to contact one of our sales agents 24/7 or fill out the Get A Quote form. If you're traveling outside of the geofence, mileage rates may apply. As a quintessential New England town, Amherst is known for its many colleges and universities, history, and thriving student population. From college tours to experiencing the outdoors around Massachusetts, Shofur is the premier transportation service around Amherst and the surrounding area. We have access to an extensive fleet of charter buses not only across the state, but the nation. So whether you’re traveling to or from Amherst, we’ll be able to organize the best transportation for your group. We’ve organized transportation across various occasions for all types of groups. If you’re planning a group outing to Mount Holyoke Range State Reservation or Mount Tom State Reservation, a charter bus is a perfect option to shuttle everyone in one vehicle. A minibus is a compact option for relatively small-to-medium sized groups looking to spend time among the outdoors. Groups can enjoy recreational activities like hiking and fishing, perfect for large group outings or even school trips. With roots back in the 1700s, Amherst has multiple museums and cultural centers for groups to tour and make part of a trip. A private charter bus allows everyone to travel at their own leisure to explore the various museums in Amherst. No matter the size of the group, we’ll find the best charter bus or minibus to get everyone to the Mead Art Museum, Emily Dickinson Museum, or the Beneski Museum of Natural History. Amherst is home to the Five College Consortium, making it a major hub for collegiate tours. Students and chaperones wanting to visit the Amherst area have plenty to keep them busy on the college campuses. 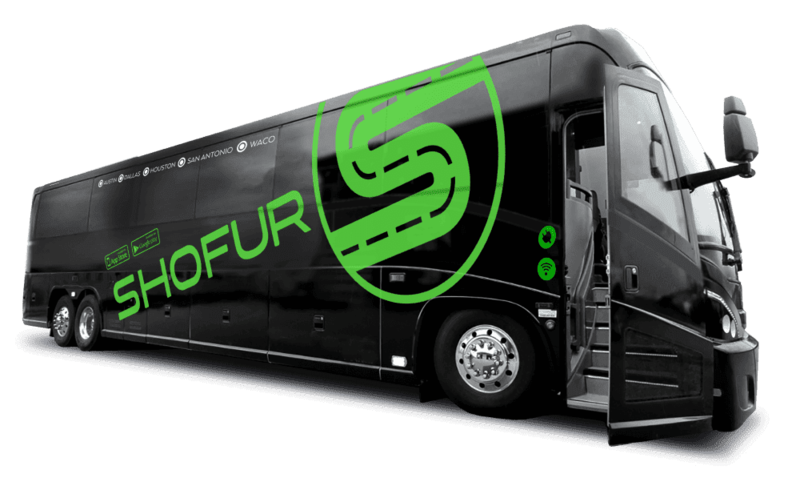 Shofur has access to an extensive fleet of comfortable charter buses to get everyone from each campus to next. Travel between Mount Holyoke College, Amherst College, Smith College, UMass Amherst, and Hampshire College, with easy transportation provided by Shofur. The bus providers we work with include professional drivers to keep all travelers safe on the road. If you’re planning a trip to Amherst from Boston, New York, Jersey City, or beyond, Shofur is the top choice for group transportation options. From full-sized charter buses that accommodates 56-passengers to minibuses that are best for smaller groups, our services are suitable for all types and sizes of groups. Our rental experts are available 24/7 to assist you in planning transportation around Amherst. Give us a call at 1-800-436-8719 to get a free quote and to begin the rental process. For full DOT # and information on motor carriers in this location please contact us at 1-800-436-8719.